Whenever a pitcher rises to a month’s worth of greatness, there’s always luck involved. And so, Chris Tillman — like most of the other nine in his class — spent July with a batting average on balls in play closer to .250 than .300. 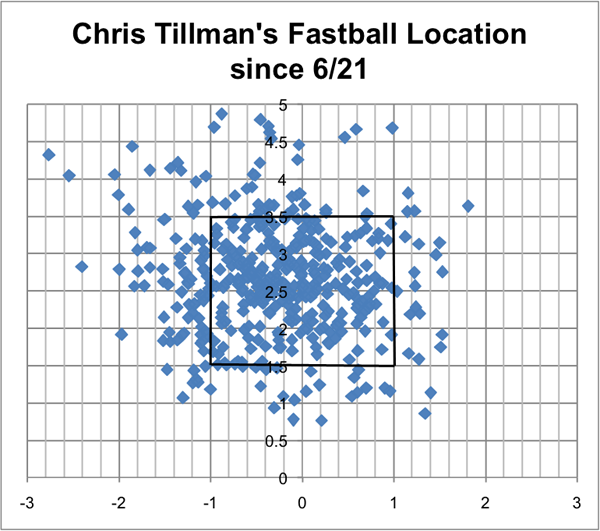 But when Tillman spent July dealing, he did so in a way he hadn’t done before in the big leagues. Underneath that luck were some adjustments that might be a big deal for the pitcher going forward. For one, he had a 54% ground-ball rate in July. Not only is that the highest single-month ground-ball rate he’s ever had, but it’s also only the second month in his entire career where his ground-ball rate has edged past 50%. He has a new sinker to thank. “The beginning of the year hadn’t gone as I’d hoped, and I felt like I needed a pitch that, if I needed a ground ball, I could go get it,” Tillman told me before a game against the Athletics this week. That sinker has four inches more arm-side movement than his four-seamer, and he’s currently getting 63% ground-balls with it. For a pitcher that calls Camden Yards home — one of the hottest parks in the majors, and consequently one of the easiest places to hit a home run — more ground balls could help a pitcher that’s been in the top 50 of home runs allowed per game since he’s become a regular starter. The contact Tillman has allowed has changed in other ways, as well. A 21% soft-hit rate and a 30% pull rate would both be well below his career averages (17% and 38% respectively). Part of that is still the sinker — “I wanted to miss barrels instead of miss bats” — but there’s more to the soft contact that Tillman garnered in July. In July, the whiff rate on his changeup nearly tripled from the month before, but it merely re-assumed its slightly-above-average place in the context of his whole career (15% in July, 13% career). But that really isn’t the point for Tillman. “When I throw my changeup I want them to put it in play,” he said. So he’d be more geeked to find out that his ground-ball rate was up to 50% in July, much better than the 43% he’s seen over the course of his career. Makes sense, drop and fade on the change are good for grounders. Ordinarily, Tillman’s walk rate hovers around league average — he’s had a 7.9% walk rate over the last four years, compared to this year’s 6.9% league average at least. But this year, he’s walked a few more than usual (8.8%)… at least until July, when he only walked 4.6% of the batters he faced. He can thank yet another adjustment for that improvement. “I was missing the plate at the beginning of the season by just this much,” he said while demonstrating two inches with his fingers. “I didn’t want to change anything big, so I just slid over on the rubber. 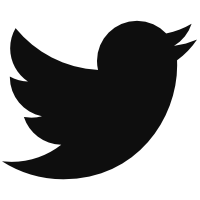 I cheated,” he laughed. 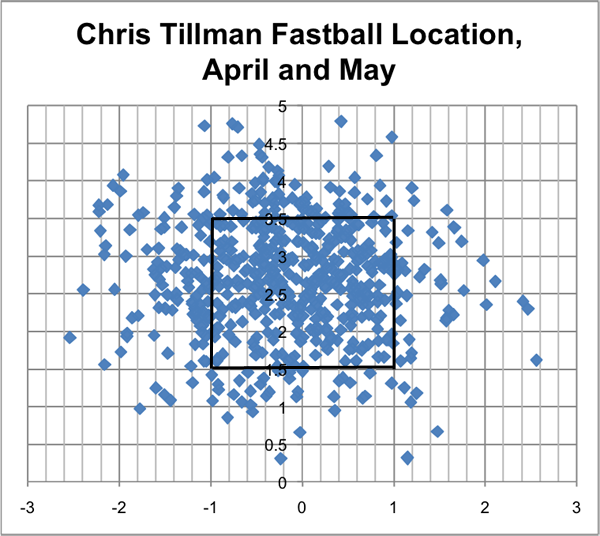 Here is Tillman’s fastball location, from the catcher’s perspective, early in the season. Then, in late June, Tillman moved three to six inches to his left, towards first base. That change on the rubber would be to your right as you read these. Here’s his fastball location since he moved. It’s possible that line of pitches on the outside corner to a lefty moved just a bit closer to the strike zone. It’s possible that’s helped him get more calls. He’s certainly got decent fastball command if he can line those pitches up around the edges like that. You might be concerned that a pitcher with the biggest riseball in the game is suddenly pitching lower in the zone, and there’s legitimate concern there. Not only is he going away from a strength, but throwing the sinker more has changed his four-seam just a bit. 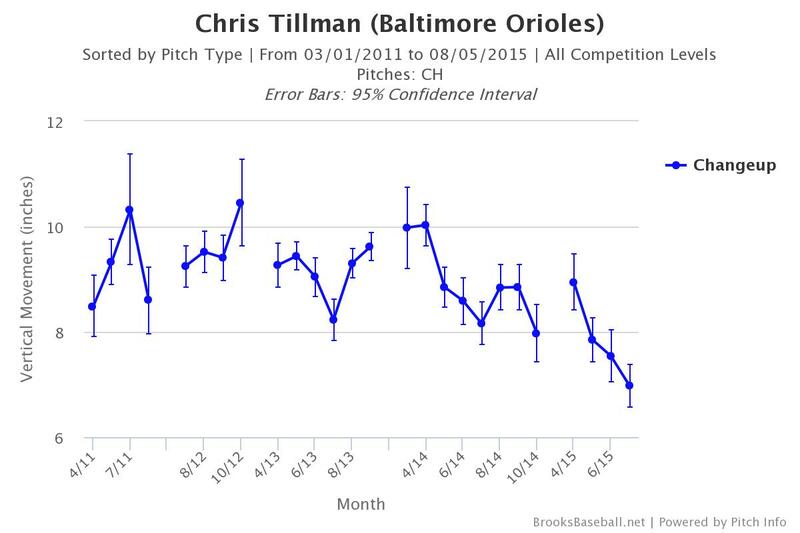 Last month, Tillman’s rise on his four-seam was the worst it’s ever been. It was still an inch and a half better than average, but it was about an inch off his career average, too. “My four-seam is always going to be there, if I need,” Tillman told himself as much as me. “Because I’m throwing more two-seams, maybe I’m dragging my fourseam down a little bit more than I would like,” he also admitted, though. 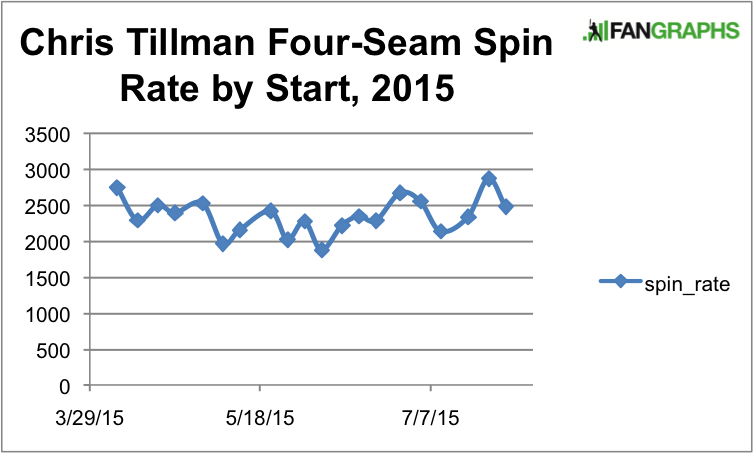 Overall, this year’s spin rate is the best of his career on the four-seam, so maybe Tillman can have his cake and eat it, too. With a league-best rise ball, and now a sinker that rates as above-average in both horizontal movement and results, and an improved changeup, there’s a lot we can believe about July’s work. “I’ve been in the AL East for four or five years now,” Tillman said, “and made enough starts that I feel like every now and then I’ll make an adjustment.” And so he did. He made three adjustments, and all of them worked for him. We hoped you liked reading How Chris Tillman Became a Top-Ten Starter in July by Eno Sarris! Is Carlos Correa Already Baseball’s Best Shortstop? Related: Clayton Kershaw is still really good at the pitching of the baseballs.